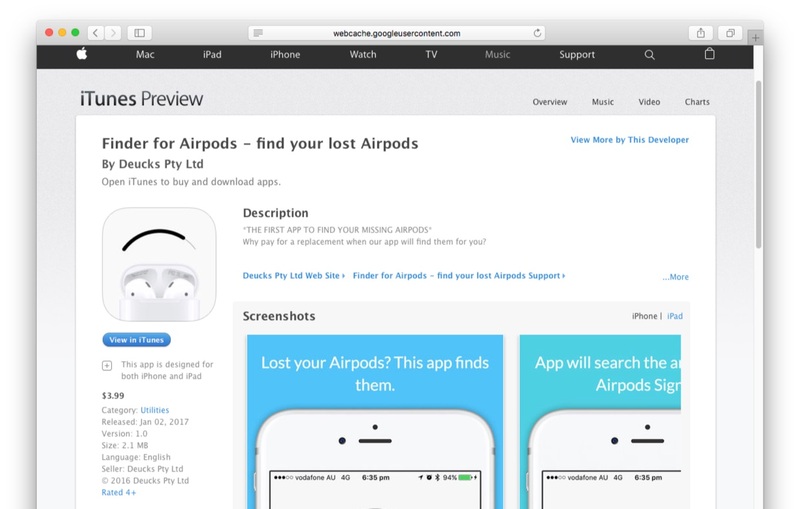 Apple、紛失したAirPodsの場所を探索出来るアプリ「Finder for AirPods」をコンセプトが適切ではないとしてApp Storeから削除。 | AAPL Ch. Yeah, just got off the phone with them. They didn’t find anything wrong with the app itself, but rather they they didn’t like the ‘concept’ of people finding their Airpods and hence was deemed ‘not appropriate for the App Store’.